Hello! I'm back from my brief hiatus - one hiatus I actually enjoyed. 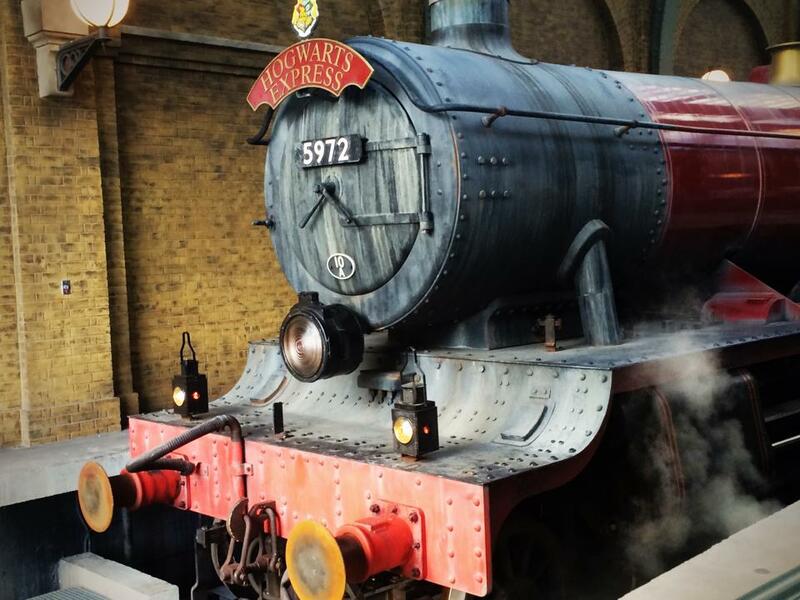 My family and I took a 4 day trip to Universal Studios and Island of Adventure in Florida to experience the new Harry Potter parks (Hogsmeade and Diagon Alley). The last time I was at the park, neither of these sections had been installed. I've always been a big HP fan. One of my biggest dreams was to receive my letter from Hogwarts and be sorted into Ravenclaw! 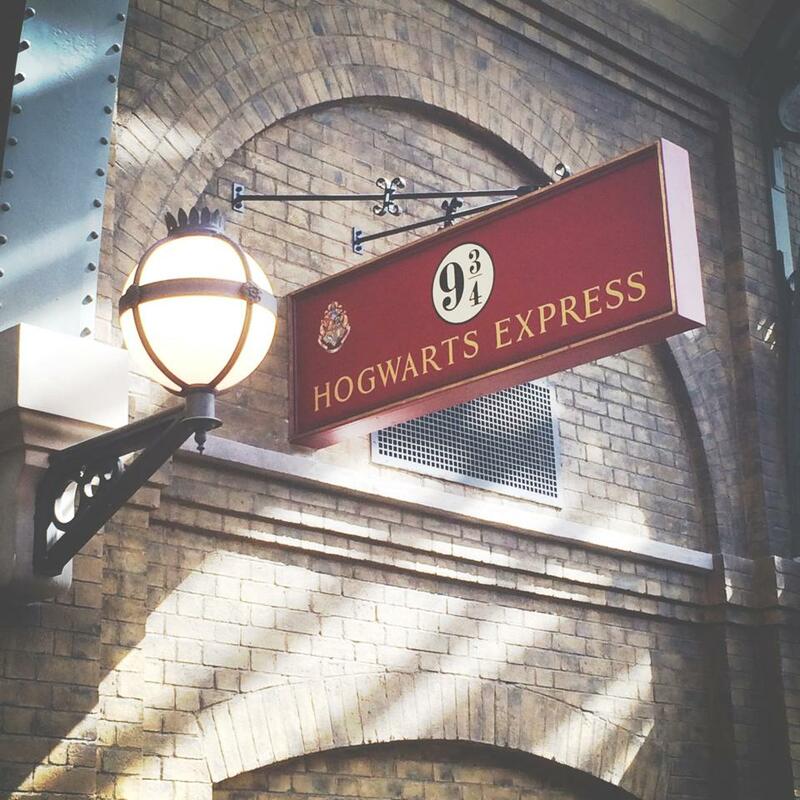 Unfortunately, I remained a mere muggle in my muggle world. Fortunately, the geniuses at Universal Studios created two parks that will captivate your Harry Potter wishes in every way possible. My first stop was in Diagon Alley where I experienced my first butter beer, chose the wand of my dreams (9inch Hazel), cast spells throughout the park, and purchased some delicious Peppermint Toads. Every shop and attraction looked just as if it was taken straight from the HP set. The environment, smells and music really capture all of your senses! I was totally amazed at how well they recreated the train. I swear, while I was in the carts riding to Hogsmeade, I truly felt like I was in the movie. The feel of Hogsmeade is definitely a totally different vibe from Diagon Alley. Everything is more open and bright. You feel like you're really in a tiny village. 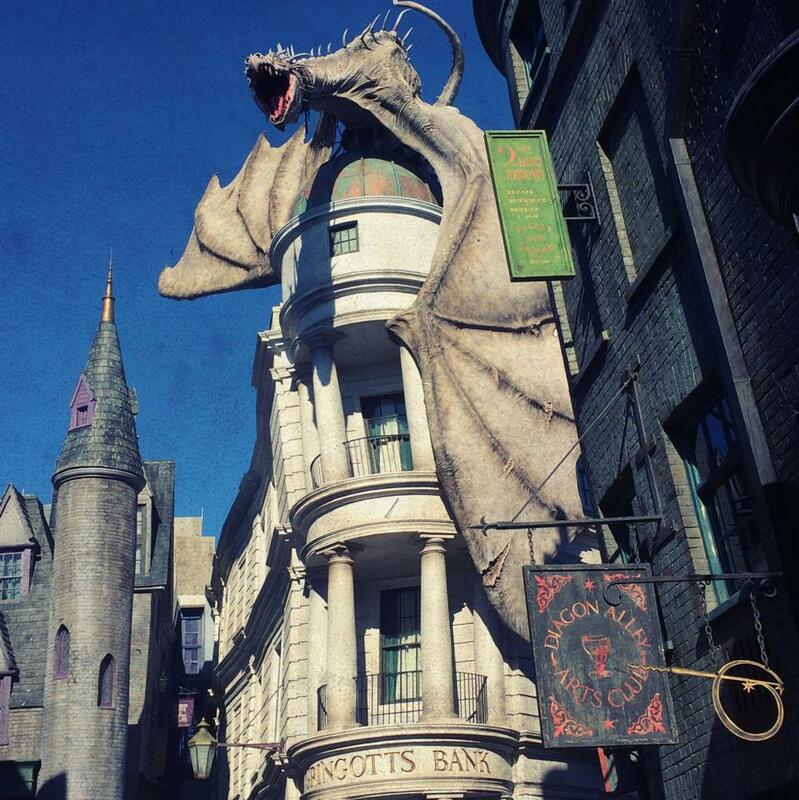 I will have to say, I enjoyed Diagon Alley more, only because it felt a bit more realistic. However, Hogmeade is home to the Hogwarts Castle so I can't complain! While in Hogsmeade we were able to get a bite to eat at the Three Broomsticks restaurant and grab a drink from the Hogs Head Pub. One of my favorite parts of this side of the park was Honey Duke's Candy Shop. I had already experienced Bertie Botts Every Flavor Beans when I was younger so I wanted to go for something I hadn't tried yet. I chose the Peppermint Frogs which were delicious. One of the cashiers even said, "Be careful when you eat these, they tend to hop around in your belly afterwards." It was great. My favorite ride was definitely Escape from Gringotts! Some of the best parts were just waiting in line and getting to walk through the actual buildings before riding. I could go on and on about how awesome it is! Even if you aren't a HP fan, you would still enjoy it. I would go back again and again! Awesome looks like you had so much . It is always so refreshing to go away and relax and have fun.